The above title is not made up by The Onion and is not, as it sounds, satire. I had just got back home from hospital to find that the news all over is about another Aounist protest. Ironically, the first thing I saw was a doctor shouting into the microphone: “this is the people *points at himself and other protesters* who are being impoverished!” (Imagine this in high voice for bravado). He was wearing a Ralph Laurent polo and flashing a Rolex to the camera. So where was the little demoiselle last Saturday when there was an actual protest to reclaim her country’s rights, a protest beyond the confines of familial politics, narrow-mindendess and sectarian bigotry? I figured listening to such rubbish at the end of a long day was not how I intended to end the day so I turned off my TV and reverted to my best friend, also known as my laptop, for company. I wrote a little post about some hilarious new Instagram account taking the Lebanese internet by storm (link) and then I browsed Facebook. It was funny at first. 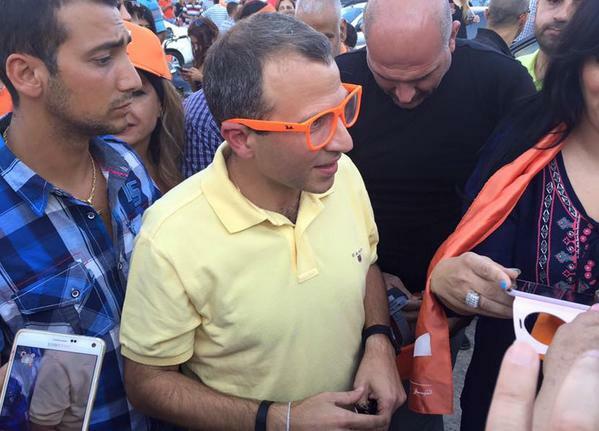 Have you seen Gebran Bassil, our minister of foreign affairs, making his big fashion statement? I kept on going hoping for better material. Big mistake. Nabil Nicolas, currently a member of Lebanon’s parliament with the Change and Reform bloc, decided to contribute as well to the megalomania taking over the country, so he shared a picture and hence our title. 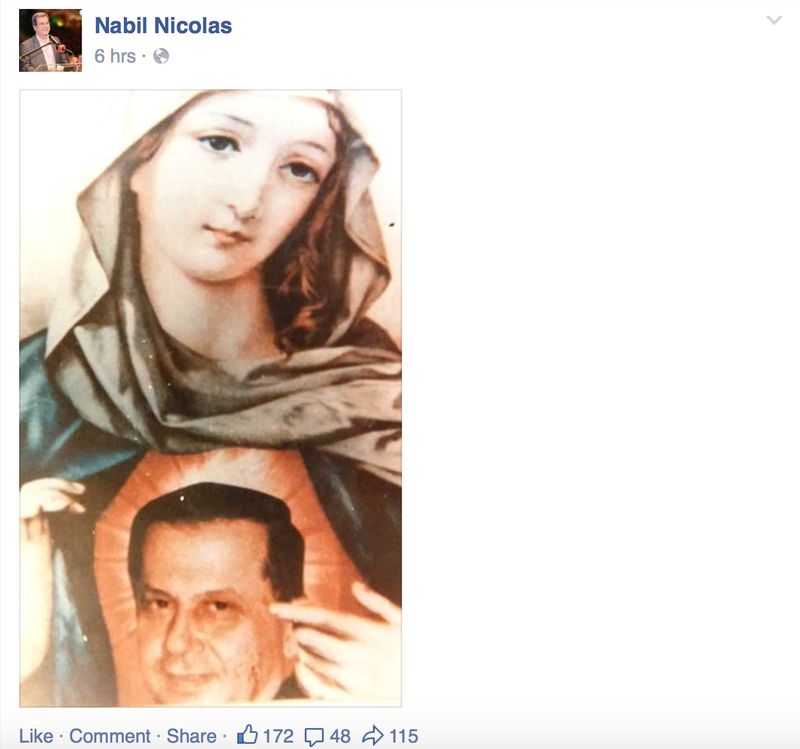 This confuses me on so many levels that I have to ask: is Michel Aoun Jesus? Is his actual father God and the universe doesn’t want us to know? What is he doing inside Mary? It’s sad that any person sinks to this level of ridiculousness. What’s even sadder is that the person in question is a Lebanese MP, in charge of running the country, and who’s apparently more pre-occupied with how best to kiss up to his political leader. Nabil Nicolas is an example of those we’ve entrusted to run the country and who’ve failed miserably. And in case you need more examples, in times like these, as to how bad they’re failing, worry not for they will deliver, and here he is. I’m not religious. I’m not offended by this picture and I don’t care about its content. But I love how such a “Christianity-offending” picture is coming from the personal Facebook account of an MP of the Lebanese party that, today, claims to be spear-heading the fight for Christian rights by fighting to elect a president with only one viable option and to get a commander of the army with one viable option, both of which happen to be either that party’s leader or his son in law. This is not about Christian rights for those are besides the point at this point. This is about absurd politicians who think their leader is God, about their followers who think their politicians are the disciples of God and who believe in every word that they say without critical thought. Such people are those with whom we are sharing the country. Such people are governing us and making sure we remain in the ditch hole we’ve been living in for years, and who will remain here for years to come. Isn’t this hilariously sad? Doesn’t it put Nabil Nicolas’ Facebook post into perspective? These are times when people think a politician fighting tooth and nail to get his son in law to power is a politician fighting for their rights as they drown in garbage. These are times when politicians upload pictures proclaiming their leaders to be God and 172 blindly click “like” because monkey see, monkey do. These are times when people in the country think a moderate Sunni is ISIS just because they were told to think as such. These are times when people think their rights are aptly defended by someone who wants nothing other than power and swallow it like sugar pills. In such a context, Nabil Nicolas is not an abnormality but is the norm. And the brain-washing machine goes woosh. Update: they also believe in creationism. I am not the most sensitive person when it comes to religious jabs. In fact, I think we need some of them more often so people can light off a little. Caricatures or comedic approaches to some religious symbols might be acceptable – they are to me – but demonizing religious holy figures for the sake of having fun such as in this case is, quite frankly, unacceptable. I find it revolting and offensive. It’s not about freedom of expression or freedom to wear whatever you want. This isn’t a book I’m saying you should not be reading or a movie you shouldn’t be watching or a website you shouldn’t be exposed to. It’s about respecting other people’s beliefs to the point where you don’t shove a picture that is clearly offensive up their faces just because someone out there thought it was fashionable enough to be worn. 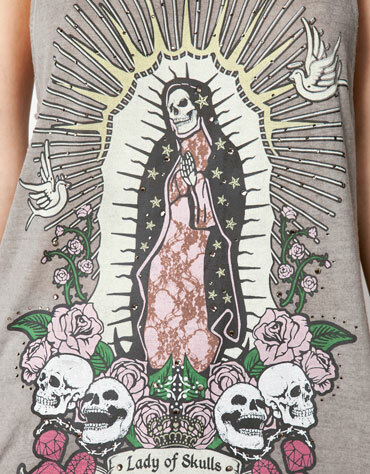 Perhaps this is acceptable in countries where views towards religion is more liberal but the only thing this will lead to here is tension because of a silly and quite frankly hideous shirt. This isn’t how you advance communities towards religious liberalism and breed tolerance, love, peace for all and a bunch of other cliches. Good job Bershka Lebanon. Gino Raidy’s encounter at ZWZ’s Hamra Branch went viral across Lebanon’s internet community very fast. His shock that a restaurant like ZWZ, infamous for his Halloumi bacon sandwiches, would actually have a branch that wouldn’t serve anything non-conformant with Islamic sharia sparked some huge debate as is evident by the extensive response to his post which you can read here. It is beyond perfectly understandable that such an issue would be considered by many as infringing on their basic freedom of eating whatever they want to eat. It is also beyond ironic that ZWZ Hamra might as well be the go-to restaurant for Lebanese pub-goers who drink themselves away a few meters away in Hamra’s infamous alleyway and other pubs. 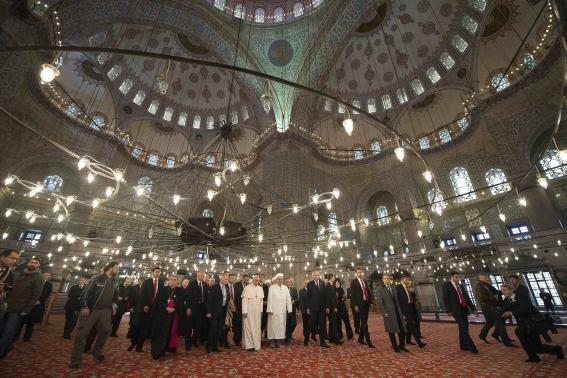 So why would Islamic sharia be up and running in one place and completely shattered in another place? ZWZ’s diplomatic reply to the matter alluded to their leasing conditions: the person from whom they got their lease doesn’t allow pork and alcohol on the premises of his building and ZWZ had to conform. The question, therefore, asks itself: couldn’t have ZWZ opened elsewhere? The answer is: most probably not. It’s easy to preach regarding the matter but the fact of the matter remains that landlords have the upper hand in cosmopolitan places like Hamra (despite what Homeland’s producers want you to believe) because of the extremely high demand for property and the low supply. Whatever a landlord wants, a landlord gets. And most companies have to deal with is as such despite their better judgement. The fix for this is, obviously, stricter governmental regulations. But in a country where such an issue comes at possibly the lowest of importance in woes, such regulations will not be enforced anytime soon. The issue, though, is not in disassociation with the general mood of the country. This vigilante sharia applying is unacceptable. I’m not entirely sure if it’s legal as well. 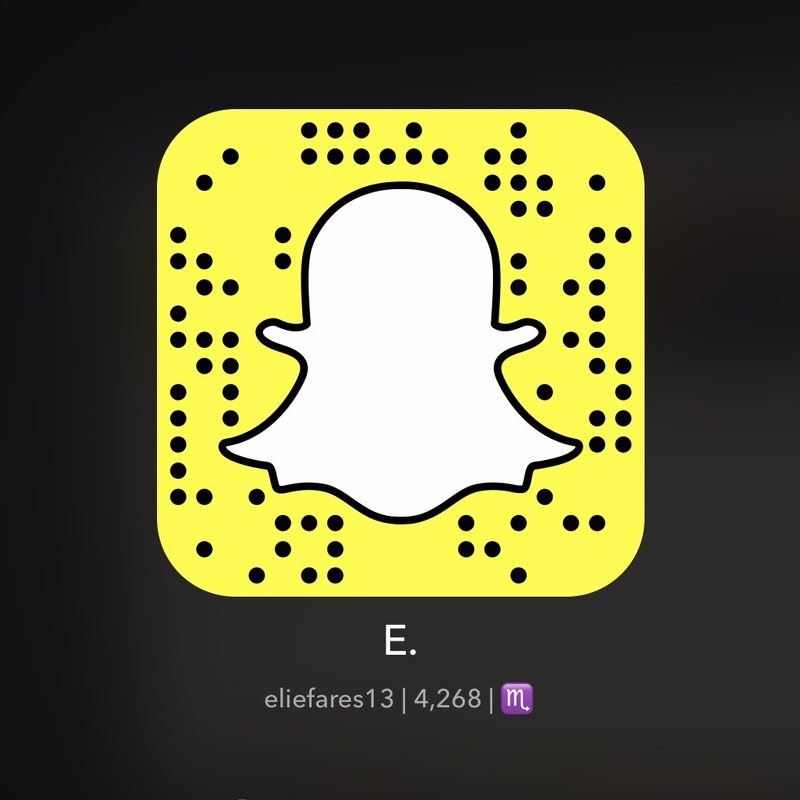 Is it allowed for someone to enforce something on their own property that is not legal across Lebanon? My gut tells me no. But Lebanese law has these sporadic eccentricities that make it baffling. And regardless of whether it’s legal or not, what is actually legal in Lebanon and is actually applied? The only urban planning law that I know of pertaining to this matter is banning alcohol sales within a certain radius of any prayer house, including Churches. Christian areas do not conform with it while places like Tripoli apply it to the letter. You would be lucky to find a place in Tripoli with a carton of booze under the counter which they dispense to their most loyal customers only. What is sure, however, is that this vigilante sharia is creating an even bigger divide in a country that doesn’t need more divisions to begin with, even among Muslims themselves because it’s not really about religion but about ideology. Banning alcohol and pork, which slowly turns places in a country that falls more on the liberal side in this deeply conservative region, slowly disassociates regions from each other: turning some more extreme while others become more liberal, the cultural and sectarian divide growing even bigger. The conservatives, subsequently, become more conservative. The less conservative folk become less so and the merry goes round. The clash between these ideologies would grow stronger. Perhaps it is ZWZ’s right not to serve alcohol and pork on some of its premises. But when there’s no regulation to dictate this, the question asks itself: what’s the limit for this sort of “freedom” for restaurants? When does imposing restrictions on others, even those who share your religious views, crosses the line of freedom? And is it truly permissible to say that, due to the presence of alternatives, discussing the presence of Sharia-abiding restaurants should not be allowed? Today is the day when Maronites across Lebanon get a surge of pride on the memory of St. Maroun, the sect’s founder. Throughout the day, if you were “lucky” enough to come from Lebanon’s bible belt and have a lot of deeply religious friends, you’ll be swamped with Facebook statuses and pictures to glorify the day. Many celebratory dinners will be held across the country as well. It is one of those occasions. 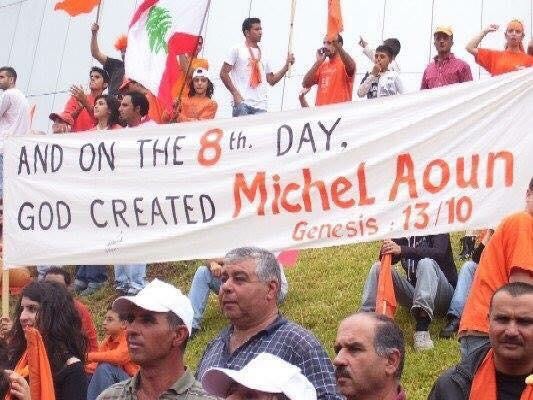 This is the day for Maronites across Lebanon to feel empowered and self-sufficient and whatever floats their boat when it comes to self glorification. 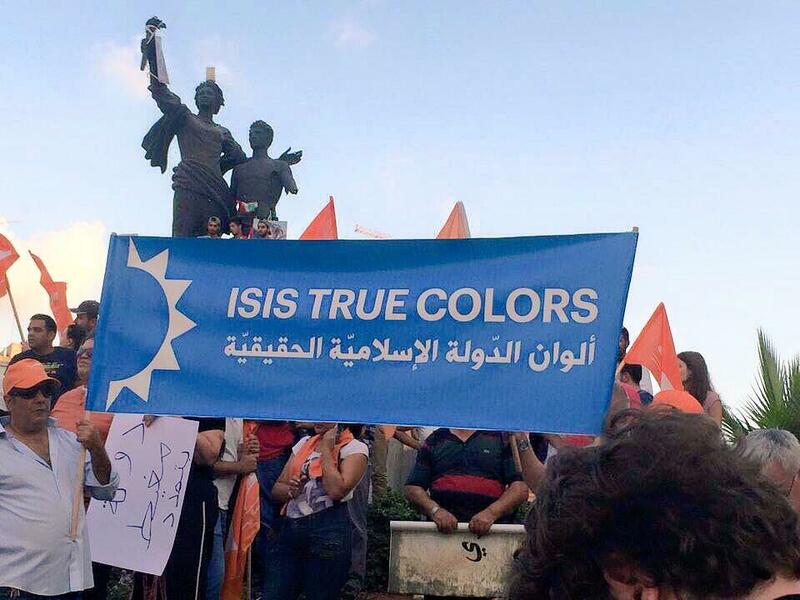 The truth, however, is that today – February 9th, 2013 – as Lebanon’s Maronites rise to a fake glory on the day of their founder, they couldn’t be more wretched. I’ll start with yours truly. I was born in a Maronite family whose dose of religiousness grew as I grew. 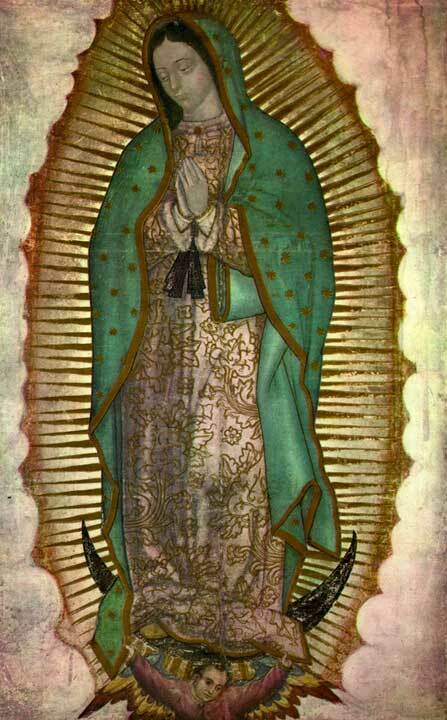 I dabbled with religion. Sometimes I grew into it, more often than not I grew out of it. My lack of ignorance when it comes to what the sect box on my ID contains led many to label me as a Christian extremist. I didn’t mind it. But today, the only thing Maronite about me is probably what’s written next to my name on the voters list. It’s not about lack of faith. It’s not about atheism. It’s about a state of utter disgust with the social aspect that “my” sect has become and what it has made me, by default, in the process. Today, Maronites in the country are forced to live in fear. I don’t think our fears are in any way justified. Do you know what’s the only reason that justifies us living in fear? It’s because Michel Aoun and Samir Geagea said we should be afraid. The former told us we should panic from the impeding rise of Islamists in Syria and behold, Maronites across the land started gearing up for the apocalypse. The latter has shoved the threat of Hezbollah’s weapons down our throats, making it a constant fixture in our daily lives, that the only thing we see as we go about our lives normally now is weapons. Illegal weapons everywhere. Whenever our major “Maronite” politicians tell us to do something, we do it. Not because we want to – but because there’s an inherent conviction among the majority of Maronites that those leaders know best. Our critical thinking capacities are not just dismal, they are becoming non-existent. Case in point? The electoral law. How many Maronites support the Orthodox Gathering Law? I suppose they are a lot. Are those Maronites truly convinced by the law? I doubt but they don’t know they’re not really convinced. All they know is that their political reference came out in support of the law and gave them a set of arguments for them to wrap their heads around. Fast forward a few days later and the whole idea is now sitting comfortably in their brains, equipped with a full arsenal of conviction as if it was there for months. And then try to tell them otherwise. Try to ask any Maronite today about which law they see best and their answer will be what their politician of choice told you. Go on, try it. We are a people that has become so weak that we can’t even stand up to the horrendous and absolute lack of qualification that flow from every single “Maronite” politician today. Today, the road leading up to the main villages of my district has fallen into a serious state of disrepair. I wrote about it before (link) and observed an interesting reaction regarding the issue. The LF’ers blamed Gebran Bassil for the road. The Aounists blamed the district’s two MPs. Both LF’ers and Aounists are joined by the fact that their cars are getting screwed whenever they want to drive on that road – but they can’t even get together to get it fixed because God forbid their holy politician of choice be the one to blame. What’s worse is that we are more than utterly convinced that those politicians are sacred. Try to tell a Lebanese Forces supporter that the “hakim” is not the saint they want him to be or that the Lebanese Forces are slacking off with how they’re handling things, letting themselves be dragged into quarrels revolving around those epic never-ending Christian rights. Maronites have now been convinced that those “Christian rights” that our heads have been drilled with are truly what our politicians are after. The idea that “Christian rights” is simply a pre-electoral ploy to get our Maronite blood boiling before we go vote didn’t cross anyone’s mind. If our politicians are truly concerned for our rights, then why haven’t they done something about it already? If our politicians are truly convinced about the army, then why do all their statements drip with unprecedented hypocrisy? If our politicians truly care about our well-being in this country then why haven’t they actually done anything to improve it? The answer is quite simple: because we have the memory span of a fish. If they don’t do it a few months before the elections, we won’t remember come the time to vote. And while a lot of Lebanon is trying to go past the civil war mentality, many Maronites still live in it. Many are even proud of it. If you, as a Maronite, were born after the end of the civil war then your opinion is irrelevant. Their “struggle” during the civil war makes them experts and it turns you into a non-sensical nobody. They fail to see how living in 1975 when it’s 2013 is not only pathological, it’s also sickening. They fail to see that using the civil war to attempt to score points when it’s been over for 23 years is not only not healthy but downright despicable. They live in the past and revel in the fact that they do so. 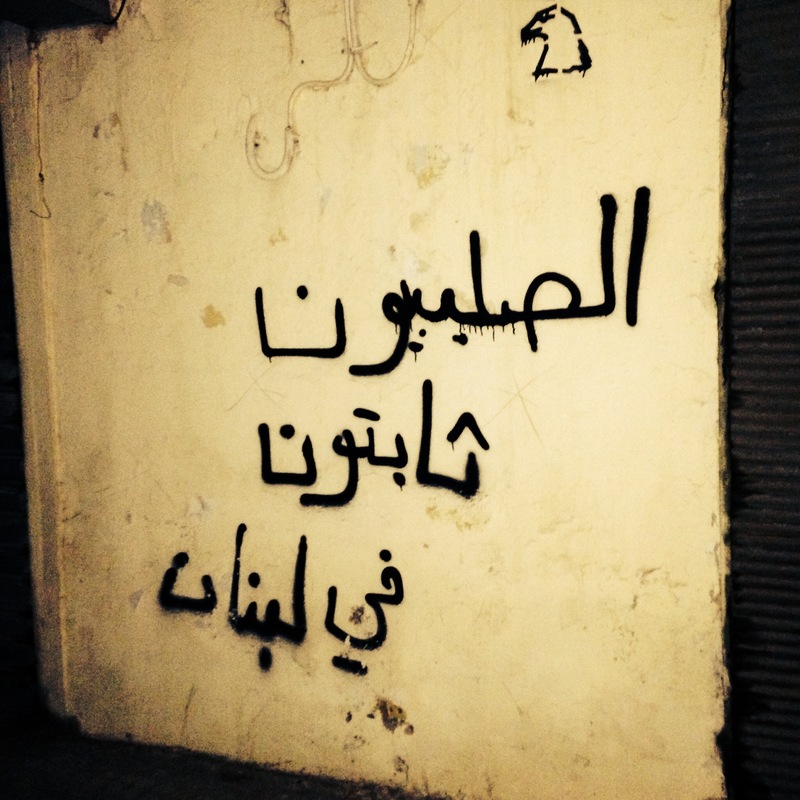 So between living in constant fear, pretending as if we actually have political free will and getting swept away with dreams of a Maronite utopia, we have become a people that are beyond miserable at life in Lebanon. How many of us as Maronites will have the guts to actually stick it to all our politicians who are actively terrorizing us come election day? Not many. How many actually see those politicians as such? Well, considering I’ve been exposed to people who are voting for certain politicians because they “asked about them” during one of their electoral visits, I daresay I wouldn’t be going on a limb if I said not many. How many of us won’t be happy when, one day after the election’s results are out, our politician of choice proclaims to represent the Christians – especially Maronites – of Lebanon? The reality is that with how we are being forced and forcing ourselves to live, our standards have gone down dramatically. Our religious extremism is rising exponentially and we can even fathom justifying it. We cling to the glories of days that are past in order to feel relevant in the present. We gloat about the president having to be Maronite by law because it gives us some form of security. We hyperventilate in joy whenever someone tells us they believe Maronites are the reason Lebanon exists. We pretend as if nothing is absolutely wrong in our communities, in our mentalities. We pretend as if all the blame is to be put on everyone else because they are the root of all problems in this country. This is your yearly dose of a reality check. My angry rant is also easily applicable to other sects in Lebanon. Because everyone is miserable. However, the moment someone from outside any sect criticizes it, people get offended. Even those who claim not to be sectarian. My prerogative, as a Maronite, is that I get to criticize how my sect has become, at least socially, all I want. And if this angers you, then I’m more than glad I hit a nerve.